These foundational Ethiopian dishes include spiced red lentils and sautéed cabbage and carrots with turmeric. Ethiopian cuisine is full of flavorful vegan dishes. 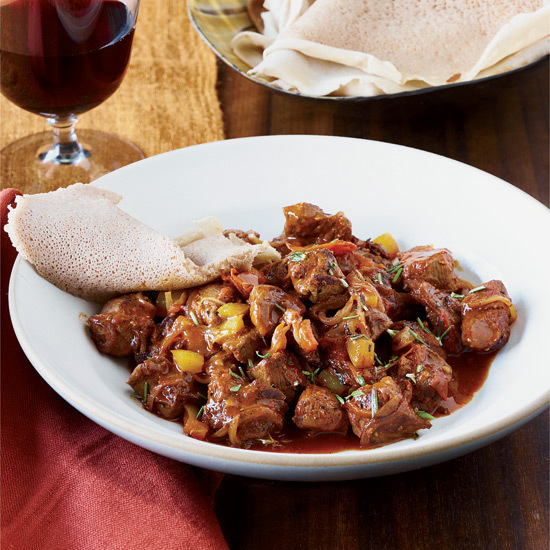 Traditionally, a meal is eaten with the help of injera, a spongy sourdough flatbread made of fermented teff, which acts as a scooping utensil instead of spoons and forks. 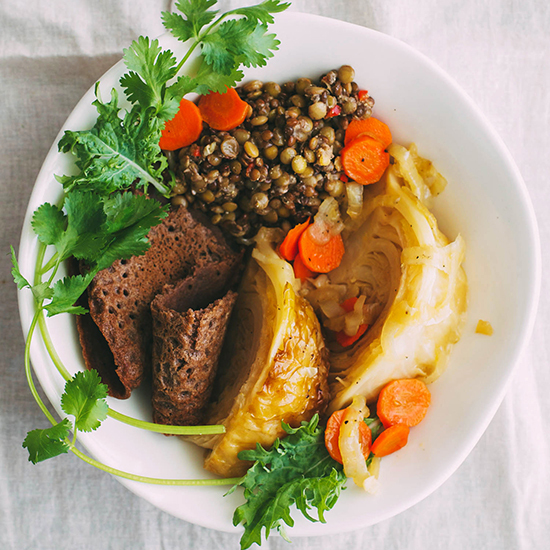 Cabbage and mustard lentils are staples within Ethiopian spreads, with no shortage of bright flavors from turmeric, cumin and chile. Peanut butter and okra flavor and thicken this tasty African stew. 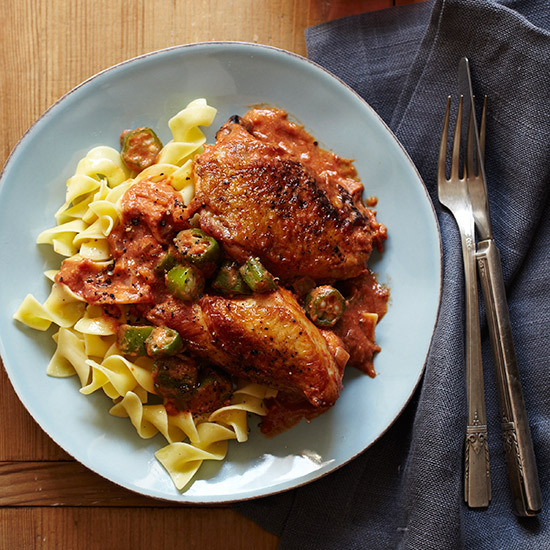 You can substitute green beans for the okra, if you like; the consistency of the sauce won't be quite the same, but it will still be thick enough to cling to the chicken. Cooking onions until softened, then stirring in spices and aromatics like garlic and ginger is the foundation of many Ethiopian recipes, from vegetables and lentils to meat and chicken. 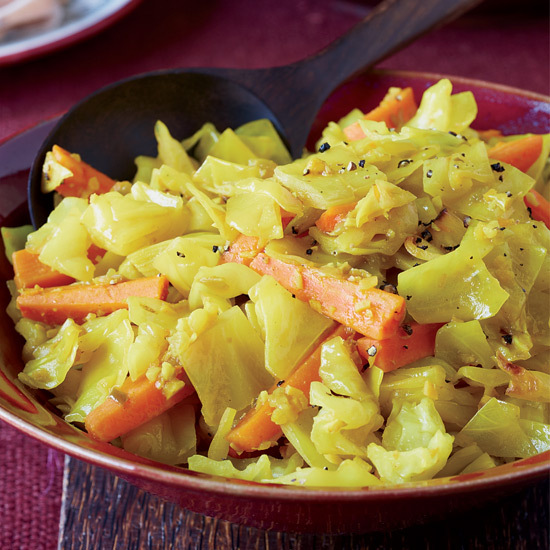 In this delicately spiced vegetarian dish, chunks of carrots and cabbage are added to the base and cooked until the cabbage is sweet and silky. Turmeric, the main seasoning, lends an earthy flavor. Berbere is an Ethiopian spice mix that includes chiles, allspice, ginger and ajwain. 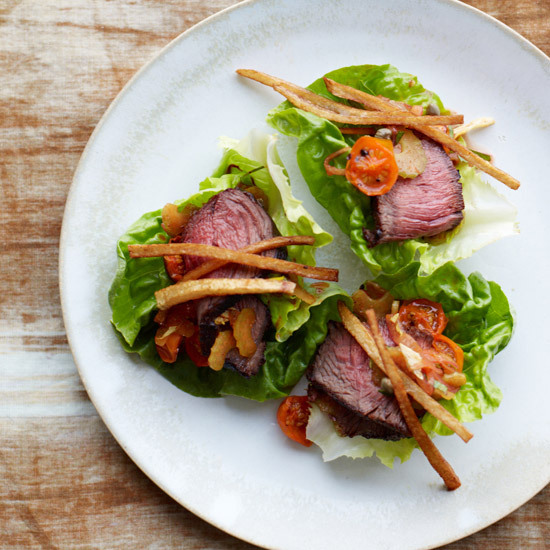 Look for it at specialty food markets. 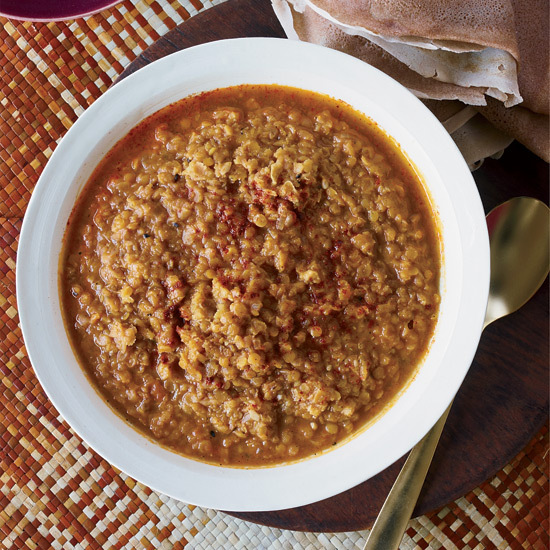 The heat in this deeply satisfying red lentil dish—called misir wat in Amharic, the language of Ethiopia—comes mainly from berbere, the ground Ethiopian spice blend that includes chile pepper, cardamom, coriander, ajwain and fenugreek.